Steve Jobs' spaceship-like Cupertino headquarters will likely be delayed by a year because of the city's environmental impact reports. Apple's new spaceship-like headquarters has run into a delay and likely won't break ground before 2014, delaying the project by a year. 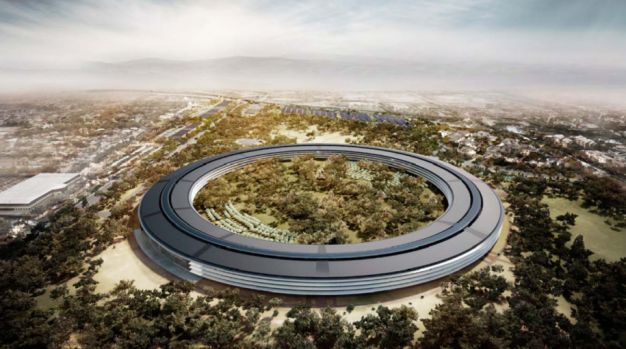 The headquarters won't be completed until mid-2016 because the city of Cupertino may not complete its environmental impact report until June, according to Bloomberg Businessweek. The plans for the 176-acre headquarters were updated and presented to the city on Nov. 14. In the original plan, Apple intended on moving into the building in 2015. The city plans to post the new plan online after Thanksgiving. The new proposal includes moving a free-standing auditorium farther away from a road and more parking spots for employees. So far, it looks as if there are no changes to the four-story main building or its native landscaping. If Apple continues to make changes on the fly, it makes sense that it could postpone the groundbreaking of the project. However, the new headquarters will likely be its home for decades, so the company has to be smart about its planning -- not only for now but also the future.